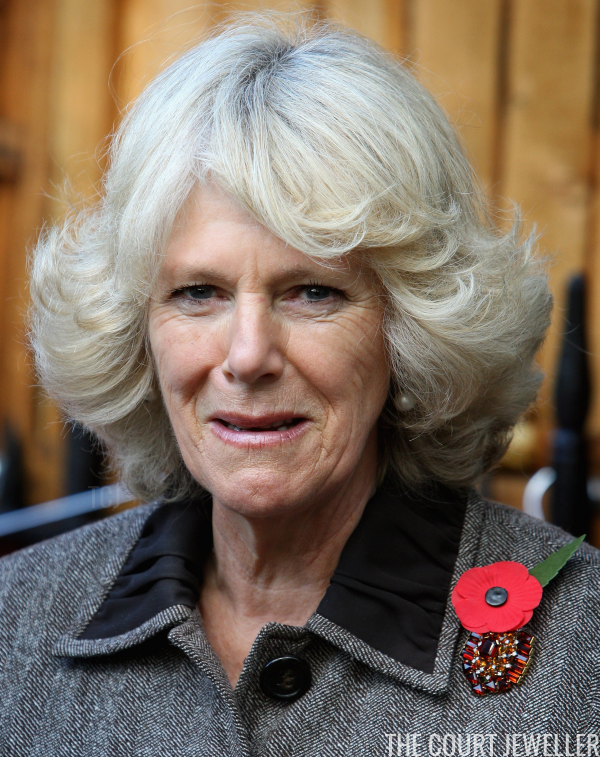 The Duchess of Cornwall's brooch collection includes an incredible range of pieces, including the autumnal brooch we're featuring today: her Art Deco-style brooch set with citrines. Here's a closer look at the brooch, which features various shades of the stone in different geometric cuts, typical of designs from the Art Deco period. Also typical for that era, the brooch appears to be a clip-style brooch -- note the diamond section at the top of the piece. 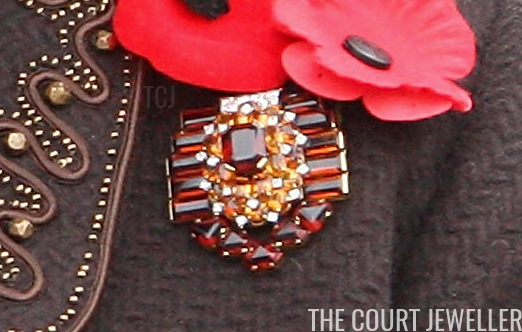 I believe that the brooch may have been created by Cartier. Note the design similarities to this Cartier tiara, which was made in 1937. (It was part of the recent Cartier exhibition in Australia.) The central section of the tiara also detaches for wear as a clip brooch. 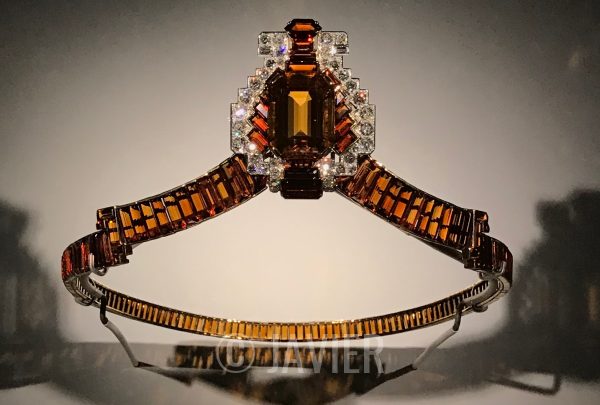 Many gemstones come in the brown and orange tones featured in this tiara and in Camilla's brooch, but Cartier has noted that the tiara is set with citrines -- which is why I've described the stones in Camilla's brooch as citrines as well. I don't believe that we have any provenance information for this brooch, but it's worth noting that King George VI was one of Cartier's best customers, often buying pieces from the firm for his wife, the late Queen Mother. 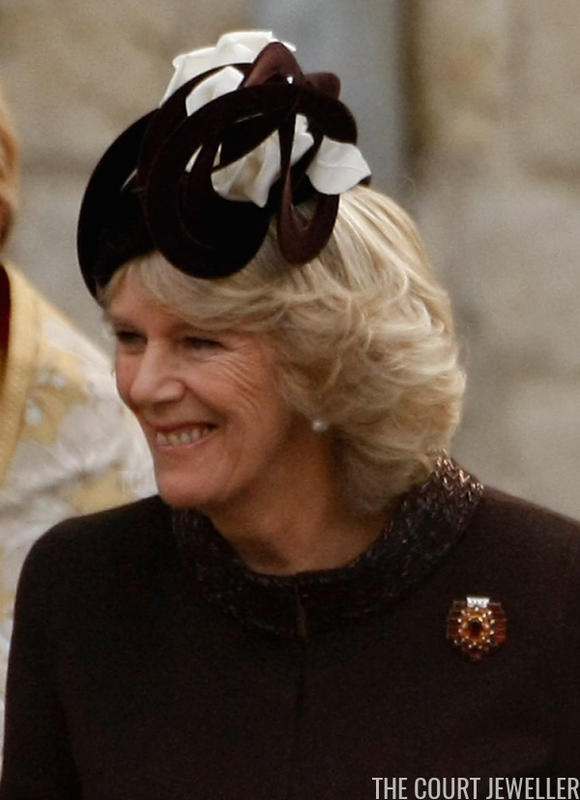 A large number of the jewels Camilla began wearing after her royal wedding came from the Queen Mum's collection. 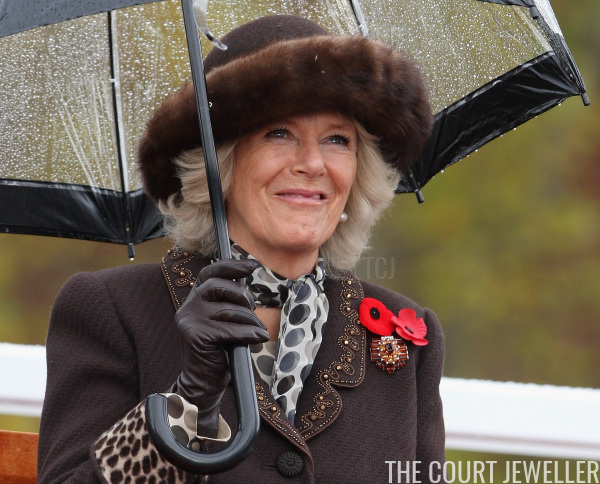 In the early years of her marriage, Camilla wore the brooch quite frequently. One high-profile appearance came in November 2007, when she wore the brooch to Westminster Abbey for a service honoring the Diamond Wedding Anniversary of her parents-in-law, the Queen and the Duke of Edinburgh. She also wore the brooch the following November for a charity event in London to raise money for the Kathmandu Arts Centre and Animal Treatment Centre. 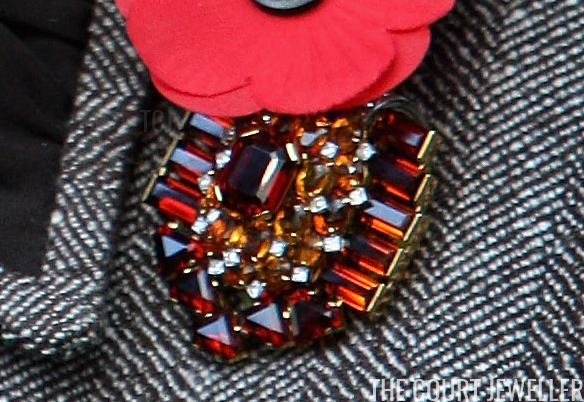 The brooch's autumnal tones certainly do make it seasonally appropriate for November, and its gemstones are the birthstone of November babies. 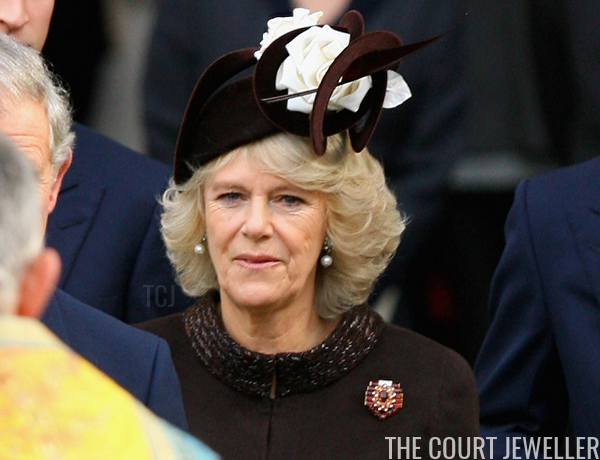 Whatever the reason, Camilla tends to bring the brooch out during this month. In November 2009, she brought the brooch with her for her first official visit to Canada. We haven't seen much of this piece in recent years, and I'd love to see it out and about again!